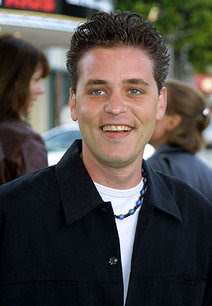 The Los Angeles coroner's office says "The Lost Boys" actor Corey Haim is dead at 38. UPDATE: Corey's mother, Judy Haim, told Access Hollywood that she was informed by the coroner this morning that her son died of pulmonary congestion. She said that the autopsy determined that Corey's heart was enlarged and his lungs had filled with water. Longtime friend and co-star, Corey Feldman, wrote on his blog: "This is a tragic loss of a wonderful, beautiful, tormented soul who will always be my brother, family and best friend. We must all take this as a lesson in how we treat the people we share this world with while they are still here to make a difference." UPDATE: "As he got out of bed, he felt a little weak and went down to the floor on his knees," Assistant Chief Coroner Ed Winter said. His mother called paramedics. UPDATE: A spokesperson for the Los Angeles County Coroner confirmed that Haim, who battled substance addiction for several years, was found unresponsive in an Oakwood apartment and pronounced dead at Providence St. Joseph’s Medical Center at 2:15 a.m. of an accidental drug overdose. Coroner's Lt. Cheryl MacWillie said Wednesday that Haim died at 2:15 a.m. at Providence St. Joseph Medical Center in Burbank. She said an autopsy will determine the cause of death and there are no other details. Canadian-born Haim became a teen heartthrob with the 1986 film "Lucas" and 1987's "The Lost Boys." His first role was in the 1984 hit "Firstborn," in which he played a young child caught up in a family war. He then appeared in the 1985 television movie "A Time to Live." In recent years, he appeared in the A&E reality TV show "The Two Coreys" with his friend Corey Feldman. It was canceled in 2008 after two seasons.